Responding to the AMD Ryzen threat, 8th Gen Intel Core is all about improving multi-threaded performance. 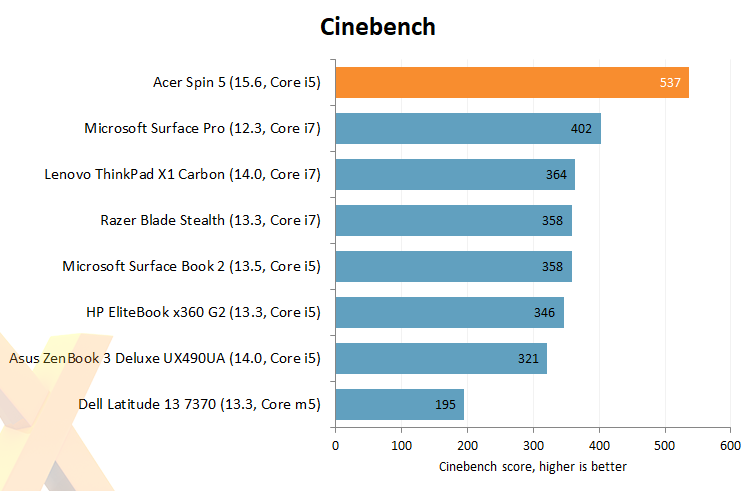 The Core i5-8250U is a step-up from every other laptop on show by finally making the transition to a quad-core, hyper-threading-enabled design. 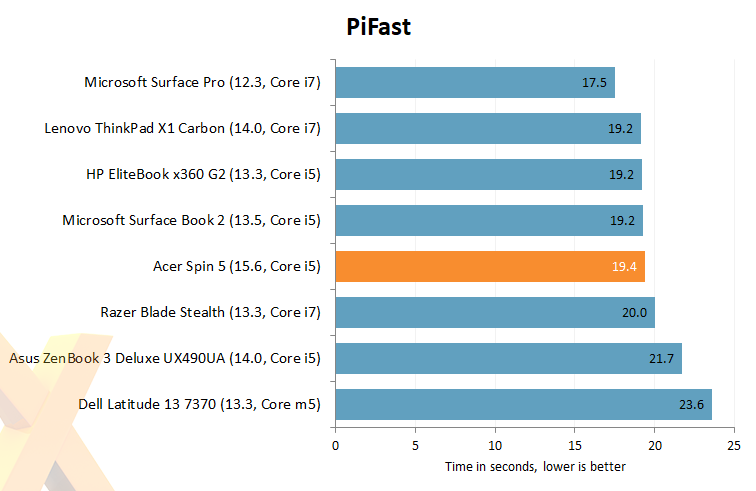 Peak speeds of up to 3.4GHz ensure plenty of pace in the single-threaded PiFast test, and the eight available threads allow Spin 5 to break away from the pack in multi-threaded benchmarks. 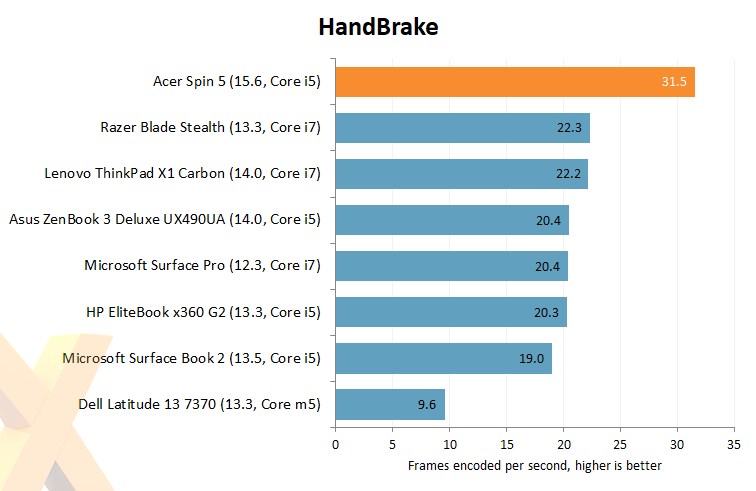 Good signs, yet the margin of victory could have been wider; our logs reveal that the Core i5 chip will throttle under demanding load, often to as little as 2.1GHz.